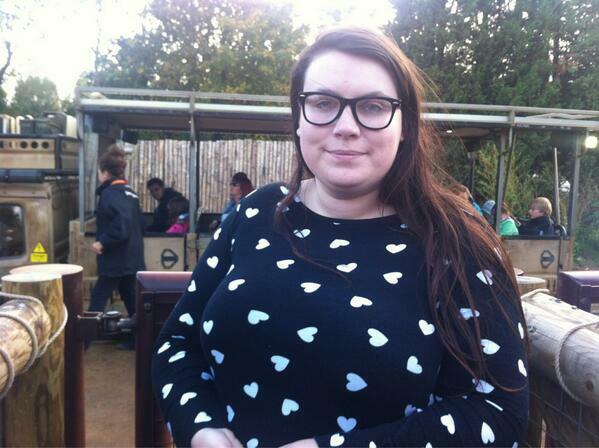 Yesterday me and the family went to Chessington World of Adventures for a pre-halloween treat, it was really fun and I got some good pictures so thought I could do an outfit of the day/mini write up of what I got up to! The land of the dragons is home to my favourite rollercoaster, Dragon's Fury. It's high, it's fast and gets the old adrenaline pumping. In keeping with the halloween theme there were pumpkins all over the place as decorations. I did some serious childhood reminiscing going past the Toadies Cars, that was my favourite ride when I was younger, ahhh memories! We then went for go on the new Zufari ride, which is a safari experience allowing unique access to the animal enclosure. After hearing a lot about it in the news, that animal prints were banned as they were spooking the animals, I just had to try it out myself. Each ride can be completely different as the animals have free reign so you may or may not see them up close, but if you don't get to then odds are you will next time. This is a wonderful picture of two zebras trying to kill each other! It was really cool to be so near to the giraffes and rhinos, especially for taking photos. Even as a 23 year old I found the attraction entertaining, even the cave you go through which has a waterfall I (of course) got drenched in. The below picture was taken in Wild Asia next to the log flume which is always a classic attraction at any theme park. We then went on Vampire, a rollercoaster where you hang like a bat and Professor Burps Bubbleworks which is a fun water ride with illuminations and little character scenes. Hocus Pocus Hall offers a great spooky themed walk through experience (perfect for when it starts to rain too!!). There was also another Halloween walk through but when we went to visit it, it was closed off so we didn't get the chance to go in which was disappointing as I was really looking forward to it. I would say I had a great day over all, and that's speaking as an adult, and I got home completely tired out from all the walking around. Did you visit any theme park halloween events? Tell me about them below. Haven't been to Chessington in such a long time!!! Also love your dress! So sweet!